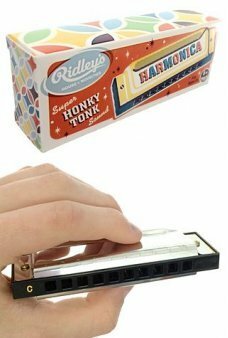 Learn how to play a harmonica with our Silver Metal Honky Tonk Harmonica. This portable musical instrument comes in a tu.. 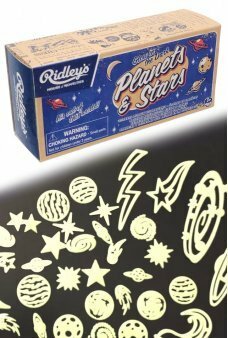 Create a glowing galaxy on the walls or ceiling of your room with our Plants & Stars Glowin the Dark Set. You get a .. Surprise your friends and family with 4 classic practical jokes: Snapping Gum, Whoopee Cushion, Bendy Pencil and Cookie .. 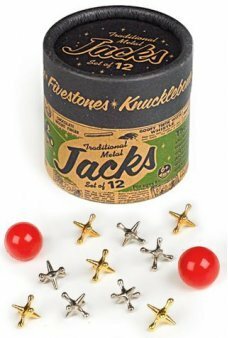 Play the classic game of Jacks with our Traditional UK Metal Jacks Set! Our 6 gold and 6 silver Jacks are formed the tra.. Yes, you can do magic with our easy Magic Trick Cards. Trick your friends and family with great tricks. You .. Mysteriously join four silver rings together - then separate them! The Magic Linking Rings Trick will amaze your f.. The Space Bouncer is back! 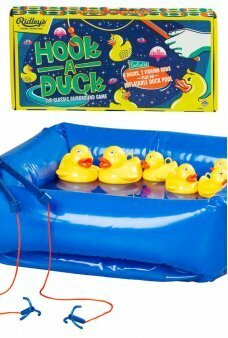 Just grab his alien horns and hop around Earth on this space age ball. Our happy bright orang.. 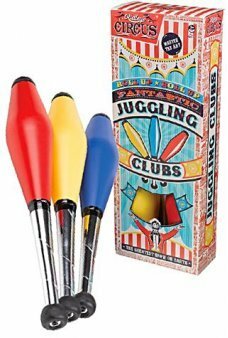 Imagine that you are in the Big Top showing your Juggling Skills with our Circus Juggling Clubs. These lightweight class..